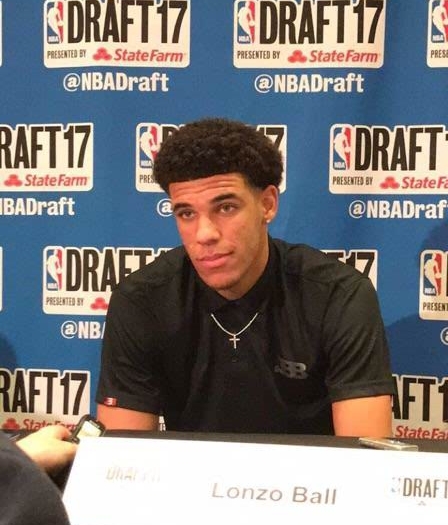 With the 8th pick in the draft, expect the Knicks to target backcourt help. I believe North Carolina State Point Guard Dennis Smith, Kentucky Shooting Guard Malik Monk and Frenchman Frank Ntilikina will be the three players Phil Jackson and the Knicks will have to choose from. Ntilikina is the perfect fit for Jackson’s antiquated triangle offense. Jackson loves big guards and the 6’5” Ntilikina fits the bill. Ntilikina is somewhat of a combo - 3&D guard, projected to be an elite defender and solid shooter. Malik Monk is another intriguing option for New York. Although undersized at 6’3”, Monk can light it up in a hurry; a true scorer and shooter. However, due to his lack of size and all around game, I wonder if he will ever be more than a microwave scorer in the NBA; a la Lou Williams. If Malik Monk reaches his potential, I see him as a more athletic, lesser playmaking version of C.J. McCollum. In my opinion, Dennis Smith is the best of thus bunch; an explosive prototypical point guard that thrives attacking the rim. The Knicks and their fans have been starving for an elite point guard, frankly, since Walt “Clyde” Frazier. The former #1 high school recruit is not a typical triangle fit, but nevertheless, Phil Jackson should pull the trigger on Dennis Smith with the 8th pick. After trading the 27th pick along with Brook Lopez to acquire D’Angelo Russell and Timofey Mozgov from the Lakers, the Nets now enter the draft with only one first round pick and a 7’0” 265-pound hole in their frontcourt. However, Nets GM Sean Marks is very strategic and could pounce at the opportunity to draft a perimeter player if someone to their liking (i.e. Donovan Mitchell, Luke Kennard, Justin Jackson, O.G. Anunoby) slips to their selection. If these perimeter options are off the board, I fully expect the Nets to select a big man with the 22nd pick. The Nets should have a plethora of attractive frontcourt options to choose from. Justin Patton, Tony Bradley, Anzejs Pasecniks, Harry Giles, John Collins, D.J. Wilson, T.J. Leaf are among the potential options at 22. The Nets are reportedly high on Anzejs Pasecniks and D.J. Wilson, and there is some speculation that the Nets could’ve given Wilson a promise that they will be selected at 22. I would love to see the Nets gamble on the talented, yet injury plagued, Harry Giles if available, but I think at the end of the day, the Nets will make it back to back years with Wolverines and snag a versatile, high ceiling big man. 6) G Dennis Smith Jr. There should be numerous trades this evening. Big names Paul George, Jimmy Butler, LaMarcus Aldridge and Kristaps Porzingis are rumored to be available for the right price. Furthermore, teams like the Thunder and Blazers are over the salary cap and may look to attach a draft pick to rid themselves of a bad contract. In a deep draft like this one, everything is very fluid and its tough to pinpoint the selections, as well as separate the talented pool of players. Here are my predictions. 9) Mavericks – G Dennis Smith Jr.